Why do exit polls overestimate the BJP? How big will the Grand Alliance victory be? Habits of previous birth die hard. 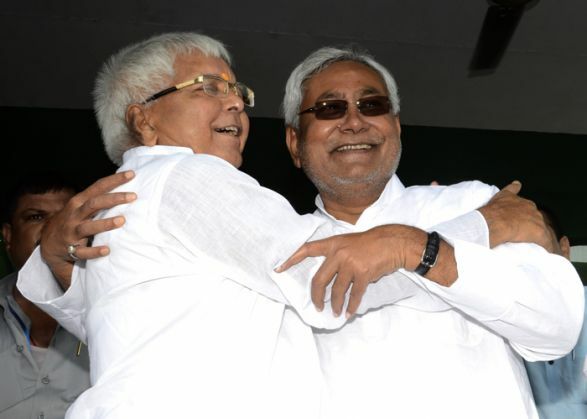 So, I have been following all the exit polls and media reporting on Bihar elections with a lot of interest. I did not get into making a forecast, for I did not have to. Also, I did not have access to survey data, nor did I travel to Bihar this time (I was busy with yatra of drought affected areas through the country). Now that the last vote is cast and all the polls and forecasts are out I can offer my take without fear of being misunderstood, except by die-hards who detect a conspiracy in everything. Statutory warning: I have no special access to any secret poll; my reading is based purely on electoral common sense and some experience in reading exit polls over the years. I think the Grand Alliance is headed for a clear, perhaps even comfortable, majority. If my reading is correct, its tally could go well beyond the highest forecast of 130 seats. My reasoning is as follows. Over the last two decades, almost all exit polls have over-estimated the BJP or the alliance favoured by the Upper Castes. This error could be anything between 2-4% points. This is not due to any Upper Caste conspiracy (no media house wants to get its exit poll wrong) but due to a sampling bias built in the methodology of exit polls. When you stand outside the polling booth, the voters who agree to be interviewed tend to be more from powerful social groups. Although the situation has changed a lot in the last two decades, the voters from weaker communities are less likely to speak the truth in public. This error could be decisive in a close election like this one. All the polls are reporting that the difference between the two main rivals is around 1-2% votes. They also tell us that this has been a very polarising elections where the upper castes and OBCs (but not SCs) are sharply divided. So the sampling and reporting error would work almost entirely against the Grand Alliance (with the exception of BJP's Dalit allies). Assuming that the error is around 2%, the findings of all the polls should be adjusted to reduce NDA vote share by 2% points and increase GA by 2%. This would dramatically change the balance in favour of the Grand Alliance, which would enjoy a lead of 3-5% over the NDA. In a straight bipolar contest, it could give the GA a clear majority. One fine point that could help the GA in translation of votes into seats. The polls suggest (NDTV poll brought it out clearly) that this election has levelled the difference between different regions. In this situation, a small lead in terms of votes would be spread fairly evenly and could yield lots of seats to the leading party. To make matters worse for the NDA, it appears to be doing much better in urban areas. Concentration of votes in urban pockets could give NDA big victories in the few urban seats but leave it more vulnerable against the GA in the overwhelmingly rural Bihar. As I said, all this is pure speculation, devoid of any fresh evidence or political motives. Everyone is welcome to have fun at my expense tomorrow if this proves mistaken.